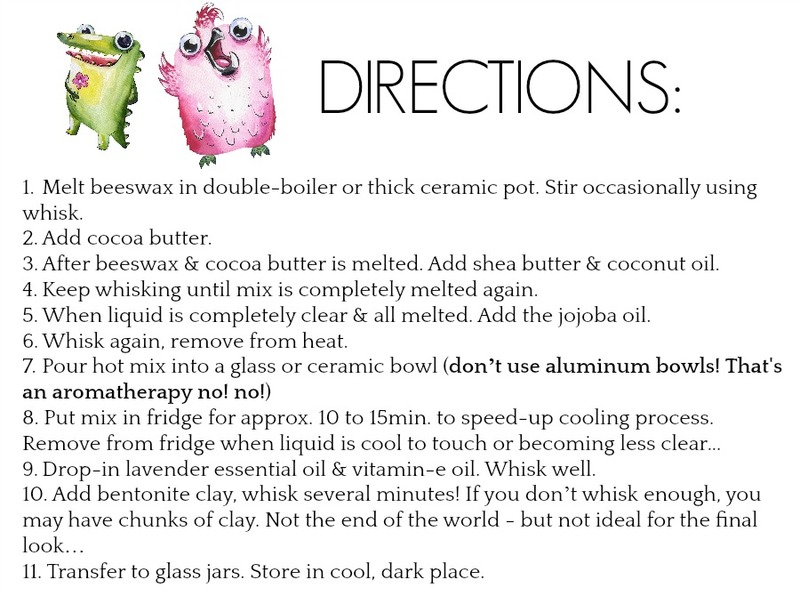 Since popping-out an offspring, I’ve been mastering “at-home” skincare for wee-ones, hence my DIY Diaper Rash Salve! I tried to keep this one simple, but effective enough to really protect a little bum + keep it moisturized and refreshed. I wanted something sort of thick, but still spreadable (like a soft, salve, texture…) – and not chalky. Since I’m adding bentonite clay to the mix, this took a few tries to get it right. Beeswax is another perfect add, because it really bonds it all together perfectly. Plus, beeswax locks-in moisture. Just what your baby’s bum needs! Using essential oils on babies is a VERY sensitive subject. Some swear by using zero on their babies until later in age etc… My aromatherapy teacher clearly helped me with this. Lavender is one of the few you can safely use from the start. 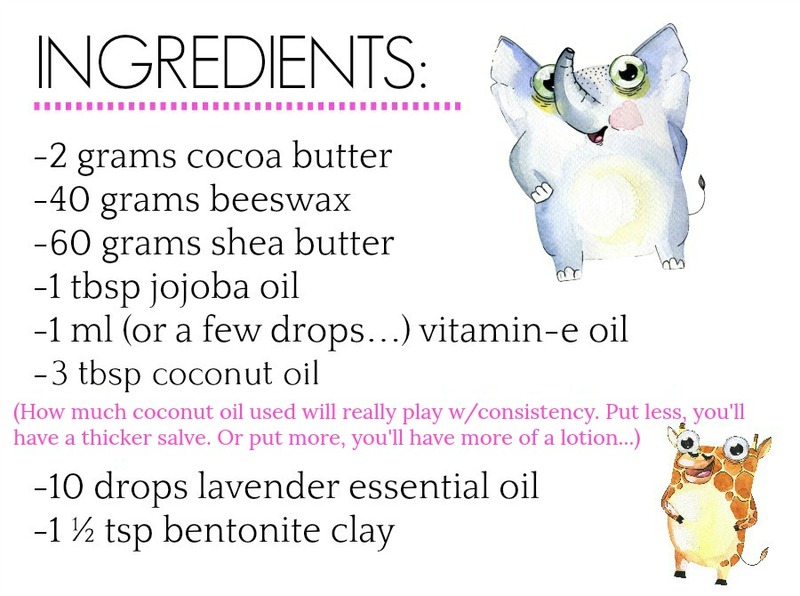 Also, I regularly used essential oils throughout my pregnancy (safe ones of course…) I’m sure that helped prepare my little bean’s skin for E.O exposure too. Finally, let’s get this recipe going. Here’s my DIY Diaper Rash Salve concoction. Feel free to pin it or comment if you made it. Sharing is caring! 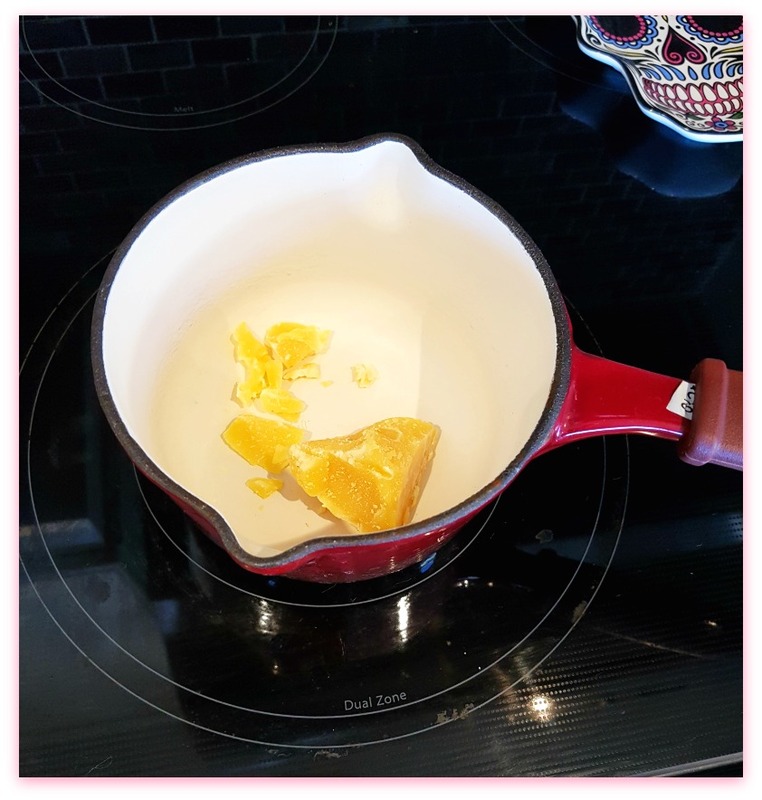 -Melt beeswax in double-boiler or thick ceramic pot. Stir occasionally using a whisk. -Keep whisking until mix is completely melted again. 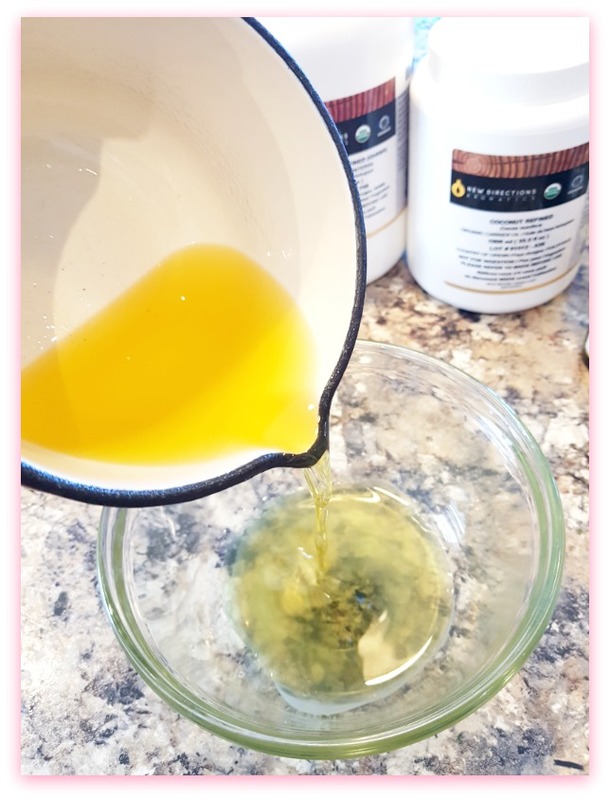 -When liquid is completely clear and melted, add in the jojoba oil. -Whisk again, remove from heat. -Drop-in the lavender essential oil and the vitamin-e oil. Mix well. Salve is temperature sensitive. Meaning, it’ll melt in extreme heat (fair warning to all diaper bags!) Product expires after 6 months. Some ingredients are measured in GRAMS on my kitchen scale… Why? 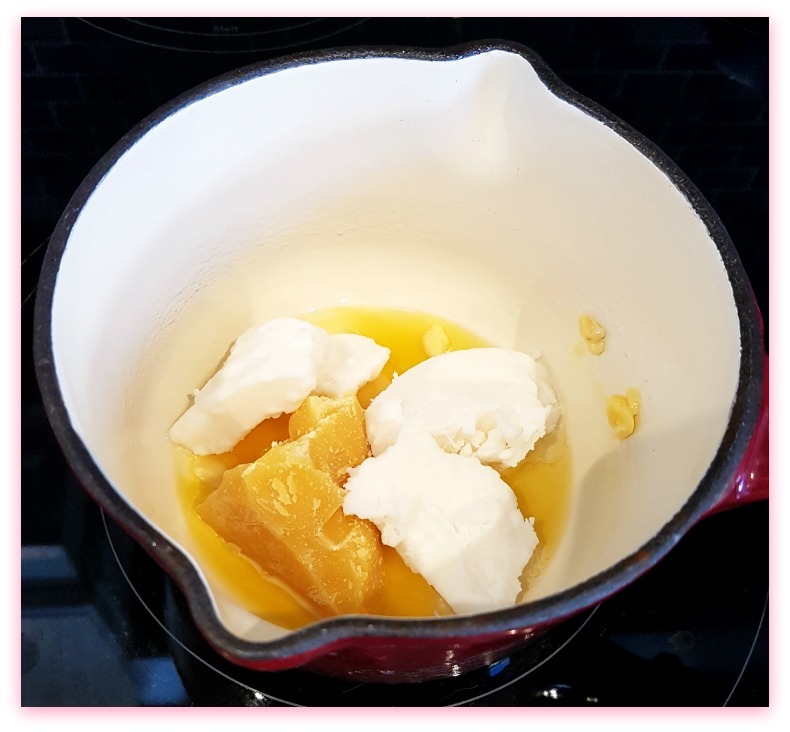 Trying to measure thick, chunky butters or waxes via a measuring spoon is flipping impossible. Accuracy is essential with these materials. Investing in a good scale is a good idea. Paid $10 for mine at Canadian Tire. Again, like I mentioned – I wanted a “salve” texture – the final product is pretty thick. 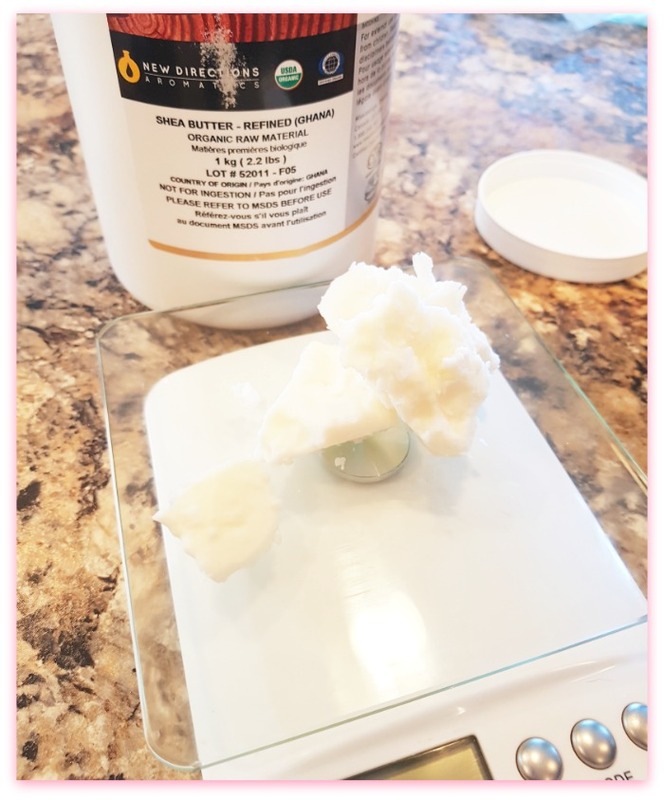 But, if you prefer a lotion just add in more coconut oil, (like mentioned above) it’ll make your end product less dense. Wrapping things-up! Now that I have a baby… Expect a recipe or 2 for little ones every now and then! 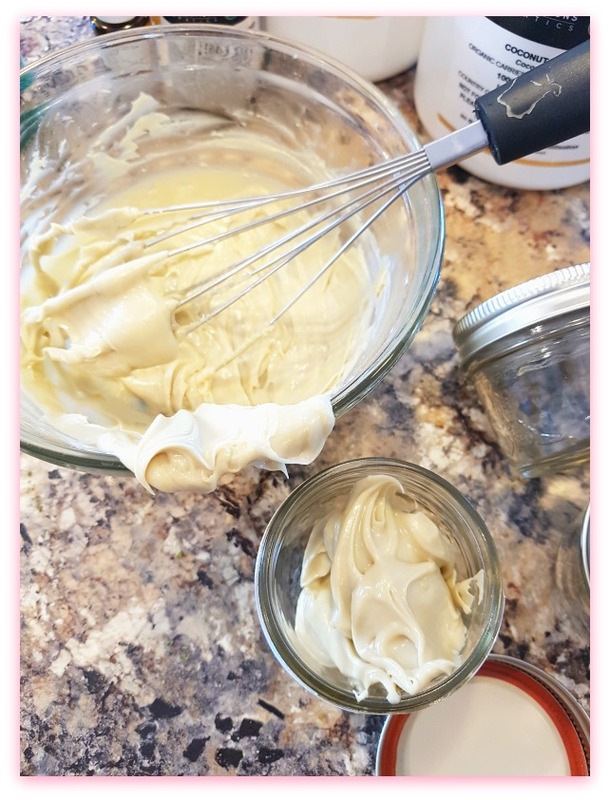 Appreciate having you read my DIY Diaper Rash Salve recipe. 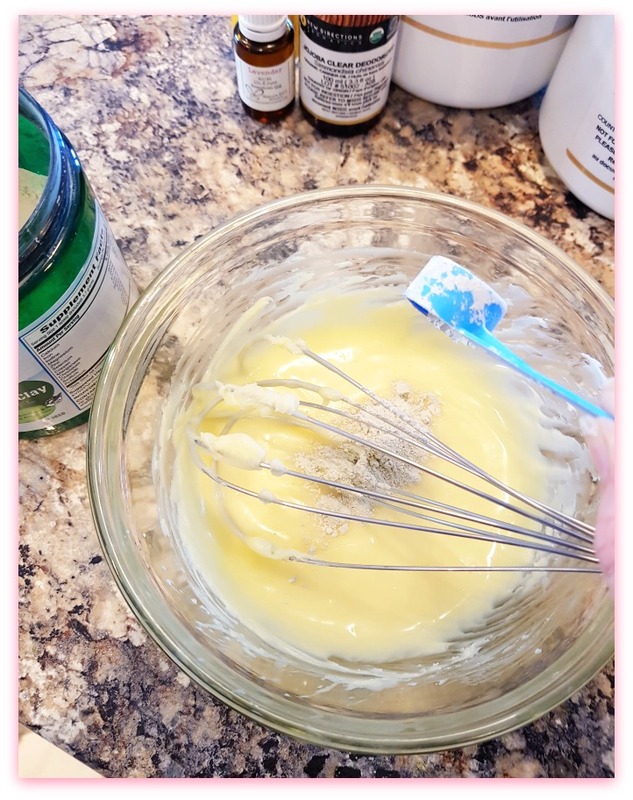 See all my other DIY Skincare Recipes – there’s no shortage!